A new team member and graphic designer, Jocelyn, picked out one of her favorites for the season! Take a peek! With the Holidays quickly approaching, you may be searching for Holiday decor and gift inspiration. Right now, one of the biggest trends is plaid. 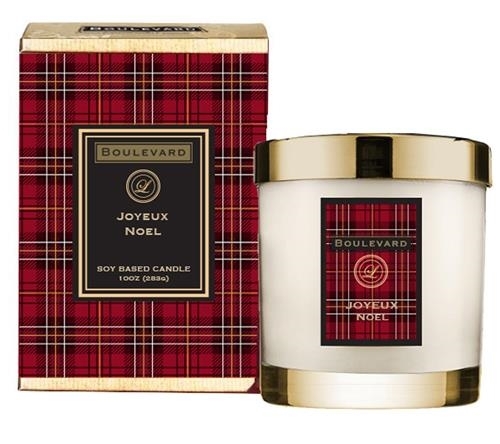 Boulevard Joyful Noel candle brings a classy plaid pattern into their packaging. This candle is also the perfect gift as it comes packaged in a beautiful plaid gift box. Boulevard is designed and manufactured in America, so your customers will feel good about giving this as a gift to anyone. Share the post "Friday Feature: Boulevard Joy Noel Gift Boxed"